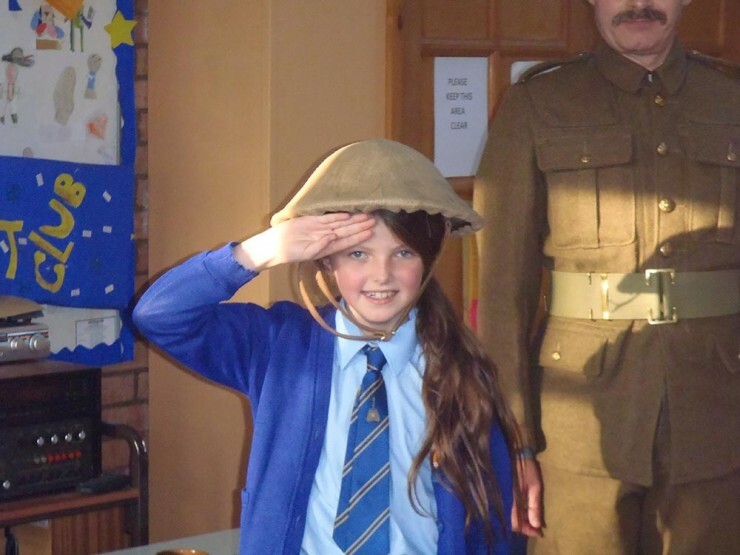 Year 6 recently travelled back in time to 1917 to meet a soldier direct from the trenches in World War 1. Private Sid Baker, a Stretcher Bearer from the 17th Middlesex Regiment gave the children a vivid picture of what it was like to be on active service on the battlefields. The children were taken through basic drill (including how to salute), shown the equipment a soldier would have to carry with him and had the opportunity to ask questions based upon their history learning last half term.